Deliciously different topping for Sukrins home made high fibre low carb Chia loaf! Simply make your bread mix according to the simple packet instructions. 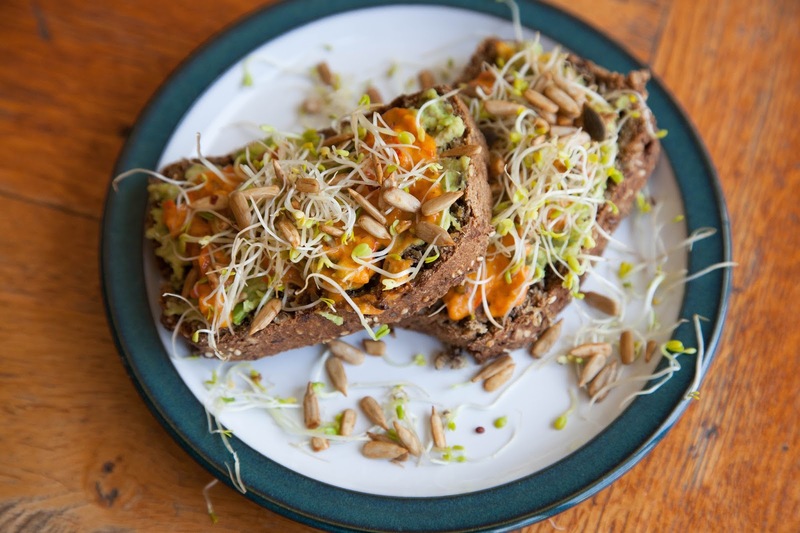 Wait for your loaf to cool before slicing your bread, spread with the red pepper add in sauce, top with some crushed avocado and top with a few sprouts and seeds.